Facing a financial change? 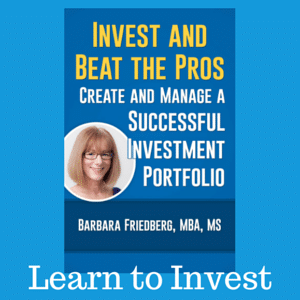 Like Barbara Friedberg Personal Finance on Facebook and sign up for Wealth Tips Newsletter (with free Investing eBook included) and you’re entered to win a free copy of The M Word. Just let me know in the comments section that you FB liked and subscribed! One of the most fun aspects of being a personal finance blogger is getting “free stuff” and offers to promote reputable money products. 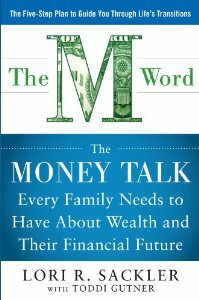 I just received a book to review, The M Word; The Money Talk Every Family Needs to Have About Wealth and Their Financial Future by Lori Sackler with Toddi Gutner. Initially I picked it up with dismay, who is going to read this book? 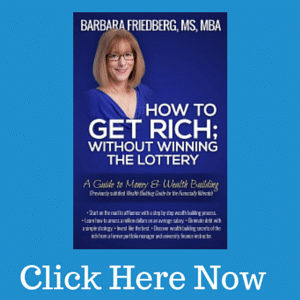 I reasoned that if someone is afraid to talk about money, then why would they read this book. In fact, I come from a family who loved to talk about money, so I figured, why should I read this book. I was tempted to write back to Sarah Hausman at Meryl L. Moss Media Relations, Inc. and tell her I didn’t feel comfortable reviewing the book. But, I decided to thumb through the book before kicking it to the curb. My 24 year old, college graduate daughter had been living with us for about one and a half years while she went to graduate school. I love my daughter, but as you would expect there are the inevitable stressors. This book had an awesome idea about how to handle money issues with grown children. In Chapter 3, “Changes in Financial Circumstances”, the authors shared a fascinating anecdote about how one family outlined familial and monetary responsibilities with their grown son when he returned for a stint under their roof. I garnered some actionable ideas if Jr. Carina returns home again. Who would have thought to draft a written contract outlining the son and parent’s responsibilities? Well, actually, I did a version of that regarding Jr.’s chores, but never considered including financial issues. The book was worth it for that idea alone. Every family has “stuff” to deal with. There are Life Transitions, Changes in Financial Circumstances, Caring for an Elderly Parent, Remarriage and Merging Families. These happen to be the titles to several of the 10 chapters in The M Word. If you’re looking for details and specifics, not found in other resources to tackle the financial side of life, Sackler offers strategies and ideas about how to proceed. According to the experts at MIT and The Economist, generational transfer of wealth fails 70 percent of the time. My blogging colleague, Marie at Family Money Values has an entire website devoted to just these issues. Believe me, planning is really helpful when it comes to money issues. Change alone is stressful enough, without throwing in one of life’s touchiest subjects, money, into the mix. If you have money, need money, and have a family, The M Word can help facilitate the money discussion. This article is part of Women’s Money Week. Please visit the smart informative participants in this educational and wealth building endeavor. 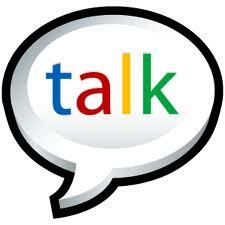 In your family, is money talk taboo or required? My son came home to finish his last year in law school. Although I did not charge him rent, I had rules or an understanding for his stay. I think a clear understanding make sit much easier in the long run. He realized he saved a lot by living with us for that year. The M Word sounds like a good book for many people and I’d personally enjoy reading it and passing it on to a few friends and relatives who could use it as well. 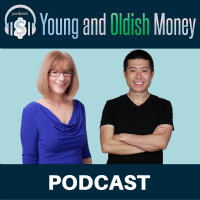 Our kids are still younger (almost 15, 11, and 4) and we’ve started recently to be completely open with them about our finances. In the past we felt like we needed to protect them from our money challenges, but realized that getting to experience it through us would give them life skills that would help them for many, many years to come. I did like your FB page a few days ago and I just joined your newsletter! I’ve got my fingers crossed. @Krantc and Heather, Sometimes we take open communication for granted and believe others can read our minds (okay, I’m talking about myself). This book is a real inspiration and eye opener.